Project News — James J. Calmes and Sons, Inc.
On October 11, 2018, James J. Calmes and Sons, Inc. broke ground on a brand-new multi-tenant commercial building at 3226 N. Ballard Road in Appleton. The original residential farmstead was removed from the property to make way for this new commercial construction building project. The property is now owned by Konietzki Holdings, LLC who is extremely excited to create a space for small businesses to reach consumers in the Ballard Road area. 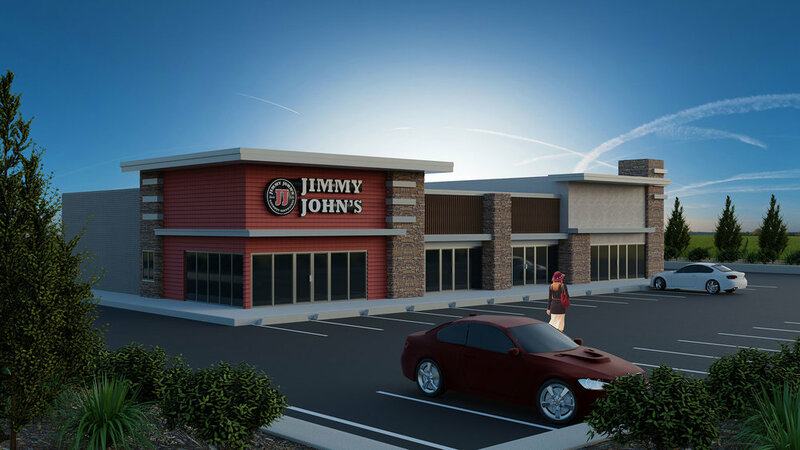 In a recent article from the Post Crescent, Kurt Konietzki said, “We’re building a small, multi-unit center and putting a Jimmy John’s in one of the units.” He said the other tenants are yet to be determined. For questions about this commercial building project, please contact us. Posted on November 14, 2018 by Terri Reichenberger. Posted on August 27, 2018 by Terri Reichenberger and tagged restaurant construction bar and restaurant construction. Posted on May 15, 2018 by Terri Reichenberger and tagged hotel construction hotel reconstruction roof repair. James J. Calmes and Sons worked with Bethlehem Lutheran Church to design and build a new church in Hortonville, Wisconsin. Find out more about this church construction project, and see photos from the recently completed project. Posted on May 10, 2018 by Terri Reichenberger.